Alessandro Sforzi’s splendid decks are the exclusive finishing touch to the most beautiful boats in the world. His is a true entrepreneurial story made in Italy, born and pursued with passion and with an enduring relationship with SCM. Sforzi’s extremely high quality production is supported by state of the art technologies. Alessandro Sforzi’s story is the paradigmatic story of Italian entrepreneurship. A story shared by many other individuals in the post war years. Sforzi has brought back to life this tradition in recent times in a surprising way. He refused a secure and safe position in the well-established family business and launched into a new sector, so that he could conquer his independence and transform his passion into his work. It all began in Viareggio, when the young Alessandro, who had a strong passion for working with wood, started doing small jobs on boats. He was paid by the day and in dollars, which at the time was an extremely strong currency, so that he was able to build up a nest egg. The family did the rest. His father was a sales agent with various warehouses, a showroom in Milan and a thriving business. When Alessandro explained to him that he didn’t want to follow in his footsteps but wanted to dedicate himself seriously to building teak decks, his father gave him his blessing for this entrepreneurial adventure. Having done the hardest part all he needed was the equipment to step up his work. That’s when he chose SCM. Alessandro began by buying his first SCM combination machine and from that day his relationship with the machines built in Rimini continued with great satisfaction. 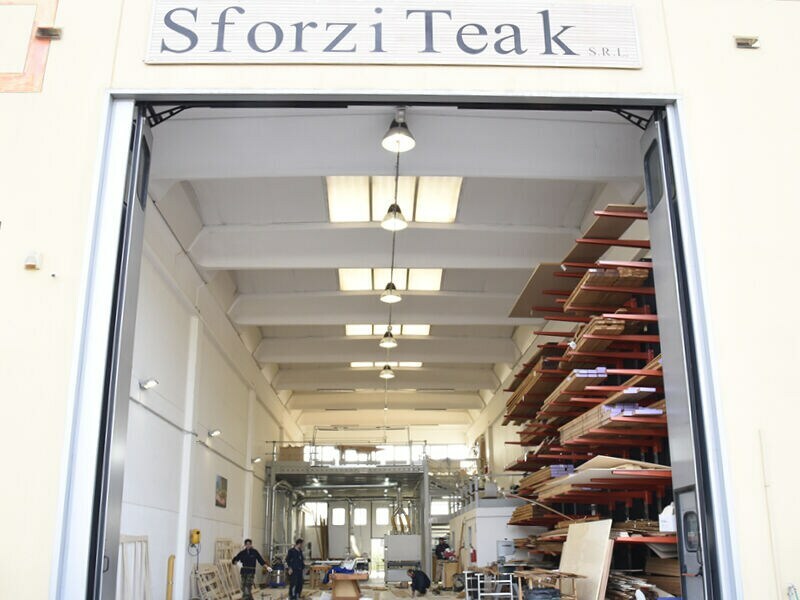 The excellent results led to Sforzi Teak, a company with orders from across the word, which has worked and works with the most important shipyards, such as Rossi Navi, Perini, Viareggio Superyacht and San Lorenzo. Well-known individuals have trodden these sumptuous decks, which thanks to the exotic woods have become the symbol of high quality boats. Even during the darkest period of the Italian boat industry, crushed by the economic crisis, misguided laws and a negative climate towards boats which were equivocally deemed only a luxury item, Sforzi Teak continued to produce with excellent results, also in economic terms. An extremely high quality production can only be supported by machines with state of the art technology. Alessandro Sforzi has no doubts about this: all his machines are made by SCM, in particular he has a strong relationship with the L’invincibile brand, the historical name which is the top of the range of the Rimini based company’s production. 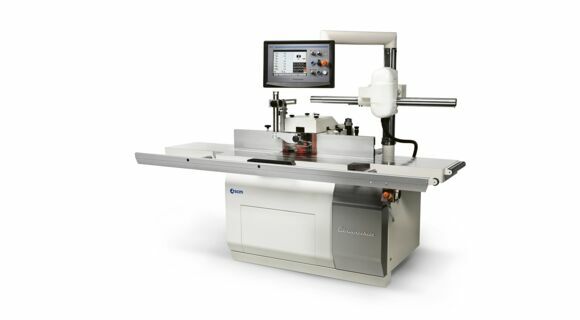 The relationship between Sforzi’s craftsmanship and the machines is explained very clearly by Sforzi himself: “I have always invested a great deal in new technologies, because I believe that using state of the art machines opens new business opportunities. Often there is the risk of losing work due to inadequate technological support”. 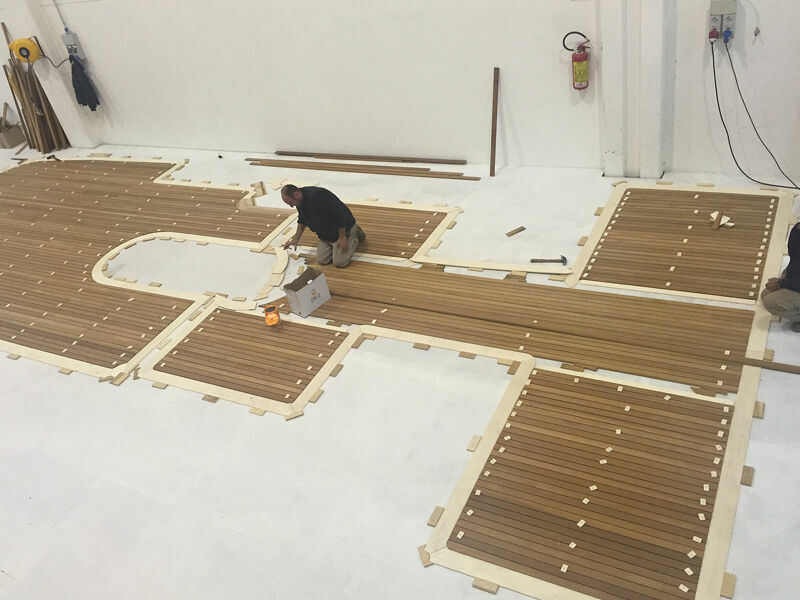 Thanks to the use of technologically advanced machines Sforzi has been able to ensure a further improvement for his company: “We used to buy readymade slats for the teak decks. Now we buy the unfinished wood and produce the slats ourselves, customising sizes and thicknesses. This has resulted in a substantial saving for us and it allows us to always have stock available, so that we can respond promptly to a client’s customised requests. Using SCM machine ensures a great support because they fully meet our requirements and they allow us to optimise the production and reduce waste to a minimum. This is key, seeing as teak is a fine and expensive wood. Another advantage of the L’invincibile range is that it allows me to process different production programs with the software, so that we can produce a high number of customised slats by simply calling up the program”. And, almost to prove a point, Alessandro explained that he always keeps an eye on SCM’s production, to see which machine could help him in his work. Lately he has been looking at the throughfeed moulder with quick tool change, which would let him cut and plane at the same time, to produce a finished slat. This could well be his next purchase. Nothing is left to chance in the production if these by now legendary teak decks. The first stage consists of a team taking the full scale measurements (1:1) at the shipyard with a plywood relief, which are then used to create the plywood shapes that reproduce all the parts of the boat deck. In a laboratory the shapes are then used to reconstruct the deck. At this stage the slats are cut and laid on the deck which is identical to the deck of the future boat. The deck is then rubberised with the Silca (flexible polymer), the pieces numbered, and the whole deck is reassembled on the boat with millimetric precision. Alessandro Sforzi has clear ideas about the relationship between man and machine: “In our case, the work is divided in half: 50% man and 50% machine. This type of work will always maintain a considerable amount of craftsmanship, because each deck that we produce is different from the next, as we work with custom boats. The CNC machines will not be able to replace our work completely. But they certainly help us a great deal: for example with the CNC we produce plywood panels that we use to cover the fitted deck to ensure that the workers who are finishing the boat don’t ruin it when walking across it. And naturally we put the name of our company on these panels too. Alessandro believes wholeheartedly in branding. In his company everything carries the Sforzi brand, from the splendid teak sign, to the uniforms and jackets of his team. Even the tools used are customised. “It’s only passion that pushes you to do these things”, explains the teak wizard. “Everything that I have earned over the years I have re-invested in the company. It’s always been my passion that has driven me”.